Serra de Tramuntana, the western backbone of Majorca, has been made a World Heritage Site, which is worth visiting on foot or by bike. There is a lot to explore in the center of the island from wineries through picturesque villages to nature reserves. Visiting an olive mill, a winery or a farm is always a good program. In Palma de Mallorca, the island’s cultural center you can see the exquisite architecture and art museums, the city is outstanding for its historic old town and bustling nightlife. Majorca is a favorite holiday destination for famous people from the world of film, fashion and politics and also a favored destination for international weddings. Still, prices are generally more affordable than in the United States or Western Europe. The average cost of a wedding in Mallorca is 15,400 euro for 100 guests, which is cheaper than Madrid with an average expenditure of 21,200 euro. If you need a good wedding planner, who can help you with organizing your great day in Mallorca, please let us know, we can give you contact details. The most popular time of year to get married in Mallorca is between April and October, especially June and September. If you aren’t Catholic, then you’ll have to get legally married in a registry office in your home country before or after the non-legal ceremony in Mallorca. If any of the contracting parties is registered in the municipality of Palma, you can get married in the meeting room of the City Council of Palma and you have to pay an administration fee of 70 euro. If none of the contracting parties is registered in the municipality of Palma de Mallorca, this amount is 150 euro. If you or your partner are Roman Catholic and looking to get married in a Catholic church, then this is permitted even if you’re non-residents. You will need to start the process early at your local church, where they will help you with the paperwork. 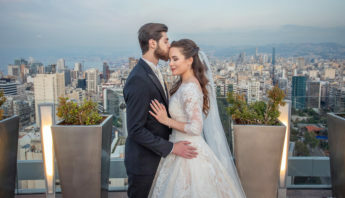 In Spain, legal civil ceremonies must be performed indoors, but there are no restrictions regarding non-legal blessings which can be performed anywhere. Thus, a lot of ceremonies are held at the wedding venue. The venue hire might be a large sum and it may reach even 1,000-2,000 euro for the day, however not all venues ask for rental fee. Wedding menus are in the range of 80 to 120 euros on the average. To this expense we must add the open bar, about 700-800 euros on average, although many hotels offer this service at no additional charge. A wedding cake costs around 4-8 euro per slice, while cake prices start from 80-100 euro and the limit is only the sky. 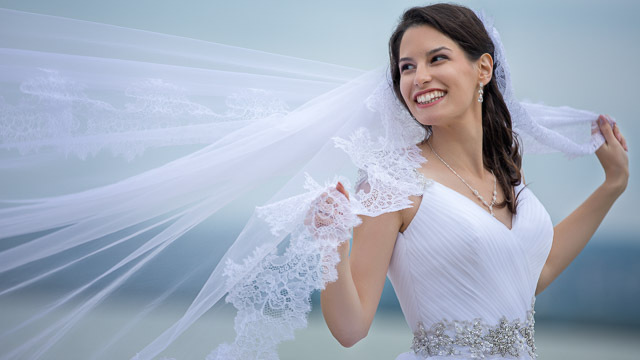 You can buy wedding dresses in Palma de Mallorca from 500 euro to 1,800 euro. 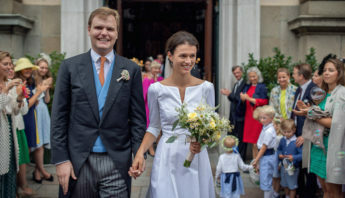 The clothing for the groom is between 350 and 800 euros, but it might exceed 1,200 euro if you purchase a signature suit. Flower decoration might cost you 200-800 euro including church and car decoration and the bridal bouquet. If you want to rent a wedding car you have to fork out 250-500 euro for a day. A good wedding photographer will cost you 1,000-2,200 euro on the average in Mallorca, Weigert Images also offers wedding photography on the island. Please, have a look at our portfolio and feel free to contact us. Cinematic wedding film prices are a bit more expensive than photography, as usually there are two cameramen. Wedding films cost between 1,200 and 2,500 euro on the average in Mallorca. We also offer wedding film services in Mallorca. 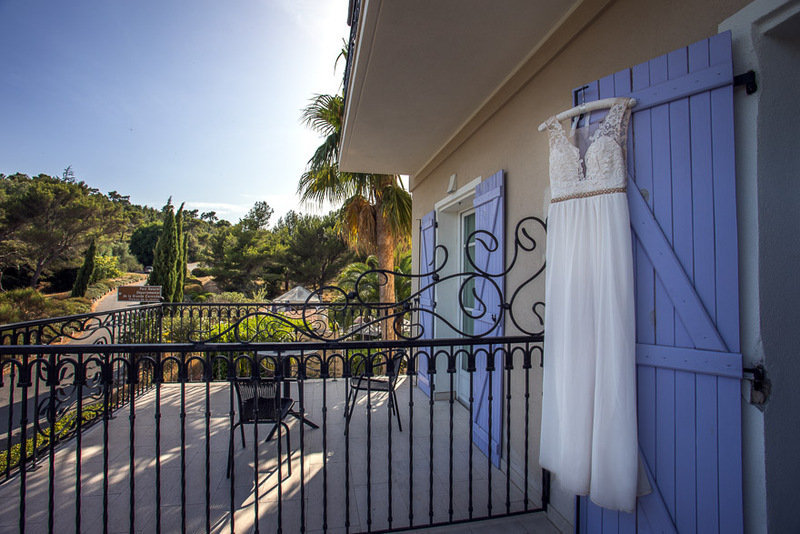 Makeup and hair prices are in the range of 250-350 euro in Mallorca, including the bride and two bridesmaids. Music bands cost 500-1,500 euro in Mallorca, depending on the number of musicians. You can also hire a DJ instead, which is cheaper at 250-600 euro. In addition, if you want to enjoy live music for the ceremony you have to have an extra budget of 200 to 500 euro, while for an orchestra the budget would be more realistic between 600 and 1,000 euro. Wedding invitations might cost around 200 euro for a 100 guests or 2 euro a piece and thank you gifts for the guests another 450 euro. Nowadays many couples resort to digital wedding invitations or they prefer the “do it yourself” solution. 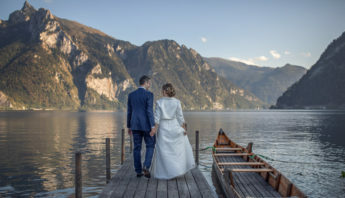 The honeymoon is the second heaviest item after the venue rental and catering, its cost varies depending on the destination and duration chosen. Choosing Mallorca not only for your wedding but for your honeymoon, too, is a reasonable solution. Would you like more info on our wedding photography and wedding film services in Mallorca? Please, contact us on this website.